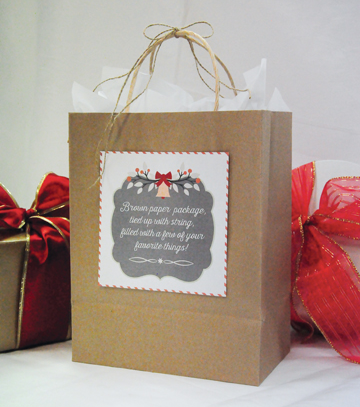 The November/December CW interest page focused on interesting packaging ideas for gift-giving. A simple brown paper bag, a little string and this fun printable are all it takes to make someone in your life feel extra special. We’ve also included the printable for our “Merry Kissmas” gift for a sweet and easy neighbor or teacher gift. See page 64 in the N/D issue for more gift-wrapping ideas.